Once a tax bill is past due, it is subject to collection actions and/or tax foreclosure. To alleviate the financial burden of paying annual real estate or personal property tax at one time, the County’s tax collections department will work with taxpayers throughout the year on payment plans that pay the bill in full by the delinquent date. It is the responsibility of the taxpayer to contact the collections office to request the payment plan option upon receipt of their annual tax bill. To avoid enforcement of collection remedies, any bill must be paid in full by the delinquent date. Complete the payment installment form below to pay your 2017 bill in installments prior to the January 2018 delinquency date. 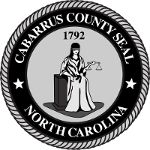 For your convenience, Cabarrus County also accepts full or partial pre-payments prior to issuing annual tax bills.